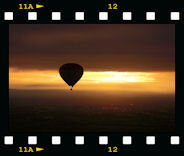 We currently fly from three stunning locations throughout Ireland. Please note that we fly from Trim, Co. Meath most midweek and Sunday evenings during the summer months. Generally, we fly one weekend per month at each of our other launch sites. If you wish to fly from locations other than Trim, Co. Meath, we strongly advise that you get yourself booked on a flight as early in the season as possible in case of weather postponements – this will allow you further opportunities to book back on another flight early in the season. We endeavour to always launch from the specified locations however, due to operational restrictions, we reserve the right to move the launch site at short notice or up to the time of the flight. Operational restrictions may vary e.g. wind direction (which could bring us towards controlled airspace or over lakes i.e. Athlone). We also require cut fields (short grass) to launch from and therefore may have to move until hay or silage is cut from our regular launch fields or until farmers have moved stock. For this reason we have several launch sites at each of our locations. We meet at the Knightsbrook Hotel in Trim. Passengers, after being checked in, will be brought to the launch site. After the flight we can bring our passengers back to the original meeting point. The meeting places are detailed below. If they have to be changed at short notice, passengers will be notified when they check the flight status on the Weathercheck line on 087 7437575 as instructed. Situated in the beautiful Boyne Valley in Co. Meath is the historic town of Trim and its magnificent Castle which is the finest and largest Norman Castle in Ireland, started by Hugh de Lacy in 1173. Trim Castle was the location for the film Bravehart in 1994. Tours of the keep and grounds are available at certain times of the year. Beside the castle is the stunning Yellow Steeple which is aptly named because of the colour in the evening sunlight. Originally, the steeple was the belfry tower of the Augustinian Abbey of St. Mary. The Sheep Gate is the only surviving gateway of the Medieval town of Trim. In olden times tolls were exacted but today you can pass through Sheep Gate freely. Set in the middle of the Porchfield, it is a pleasant spot to view the goings-on around the town. 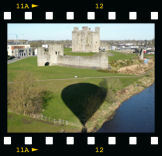 We fly from a number of launch sites in the immediate area, including Trim Castle, Athboy, Slane, the Hill of Tara and others depending on the wind direction on the day of the flight. Trim is easily accessible from Dublin, Louth, Monaghan, Cavan, Kildare, and the midlands due to the recent upgrade of the road network. The Knightsbrook Hotel, Spa and Golf Resort is located just off the Dublin Road (R154), between Jack Quinn's pub and the town of Trim. The hotel has superb facilities for visitors and their amenities can be used by passengers, or friends, who require a drink or bite to eat before or after their flight. We meet in the hotel car park, as shown on the image below and the Irish Balloon Flights meeting area is signposted at the hotel entrance. Please park in that location. We DO NOT collect passengers from inside the hotel. Click here for AA Route Planner to plan your journey. If you require accommodation in the Trim area here are some contact details. Please ensure that you are aware of their cancellation policy should the balloon flight be postponed as we will not be held responsible for any costs incurred. An oasis of beauty in the Midlands is there to be enjoyed. Belvedere House Gardens and Park can be discovered on the shores of Lough Ennell, 4 miles from Mullingar in Co. Westmeath and just an hour’s drive from Dublin, close to the new M6 motorway. The Belvedere story is one which is steeped in scandal and provides rich opportunities to capture the visitors’ imagination. 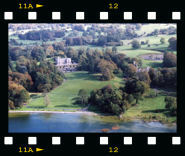 The Estate comprises of 160 acres of parkland with 6kms of magnificent woodland and lakeshore walks. Several follies adorn the landscape including Ireland's largest folly - The Jealous Wall. The restored Belvedere House is an 18th century hunting/fishing lodge designed by the renowned German architect Richard Castle for Robert Rochfort, later the 1st Earl of Belvedere. A fascinating Walled Garden, designed by Ninian Nevin in 1857, contains one of Ireland's finest collections of rare and special plants. The Stable Block is home to a modern Visitor Centre with multi-media show, exhibitions and Cafe. Adjacent to the Visitor Centre is the Animal Sanctuary and Children's Play Area. There is also a delightful tram which provides guided tours around a section of the parkland on selected days throughout the year. 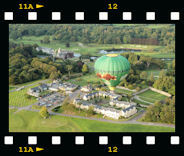 We fly from the beautiful parkland and as the balloon rises above the trees you are treated to the stunning view of this glorious house gardens and parkland and of course the beautiful Lough Ennell. 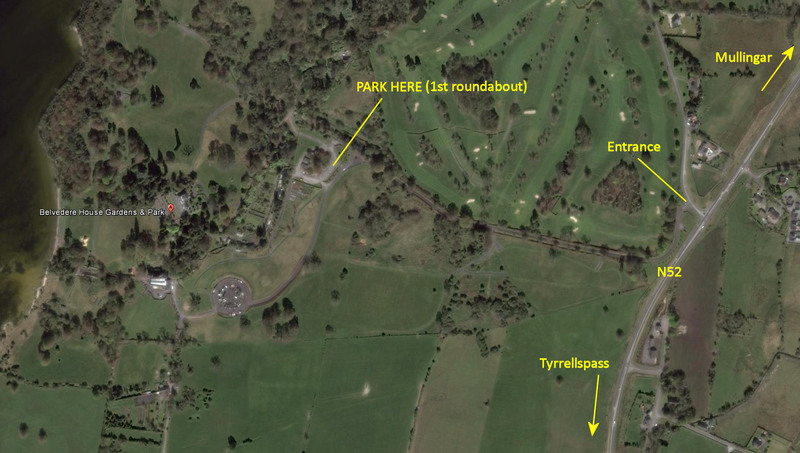 Our meeting point is at the gravel carpark adjacent to the first roundabout on the entrance driveway and we transport you from there by minibus to the launch site on the grounds. We highly recommend that you allow extra time to explore this fabulous jewel before or after your flight or relax over a cuppa in their Courtyard Cafe. Belvedere House is located on the new N52 south of Mullingar. If travelling from Dublin take the M4 motorway and take the Mullingar exit. At the end of the sliproad, turn left (opposite the Mullingar Park Hotel) and keep going straight, over several roundabouts, until you reach Belvedere House on your right. It is very well sign-posted. If travelling from Galway/Athlone, take the new M6 motorway and take the N52 exit at Tyrrelspass towards Mullingar. Belvedere House will be found on the left. IMPORTANT: When entering the grounds of Belvedere House, passengers must park on the gravel parking area located at the first roundabout and NOT at the main carpark adjacent to the house. For morning flights, it is possible that the entrance gates will be locked. Please wait at the gate, as we keys to unlock them when we arrive before the meeting time. Click here for Detailed site map to show parking/meeting area. If you require accommodation in the Mullingar area here are some contact details. Please ensure that you are aware of their cancellation policy should the balloon flight be postponed as we will not be held responsible for any costs incurred. Athlone, the urban capital of the Midlands, is strategically positioned in the centre of Ireland, where an esker ridge provides convenient access through the surrounding lowlands to make it the focus of east-west traffic across the river Shannon. Athlone town is well served by local and national infrastructure. There is a good existing road network connecting Athlone to Dublin, Galway, Sligo, Limerick, Cork and all the major population centres. The town is well catered for by excellent hotels and quality B&B’s with a variety of restaurants and eateries catering for all tastes and budgets. Athlone's position on the River Shannon, at the foot of Lough Ree, has ensured a consistent influx of water enthusiasts including those who participate in sailing, cruising, wind surfing and canoeing. Angling enthusiasts come to fish the Shannon and the many lakes located in the Midlands Region. Athlone and District boasts a wide variety of visitor attractions and historical sites of note including the instantly recognisable Athlone Castle and Clonmacnoise Monastic Site. Many walking, cycling and driving trails have been developed in recent years for both locals and visitors to enjoy. We fly from a number of locations in the area and the actual meeting place is advised to the passengers when they check the flight status on the weather check line 087-743 7575, which will be based on wind direction. We have launch sites at Glasson Golf & Country Club on the East shore of Lough Ree and a number of other locations in the area. * Please note that very light wind conditions can mean moving the launch location to Belvedere House in Mullingar due to the proximity of Lough Ree and the resulting lack of landing opportunities! Click here for Mapquest location map to Glasson. 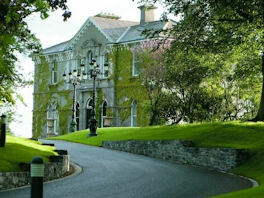 Click here for Mapquest location map to the Athlone Springs Hotel. If you require accommodation in the Athlone area here are some contact details. Please ensure that you are aware of their cancellation policy should the balloon flight be postponed as we will not be held responsible for any costs incurred. Many other Hotels and B&B’s are available by logging onto the website www.athlone.ie and following the links for accommodation. Kilkenny is a medieval city of 24,000 people acclaimed internationally as a centre for craft and design. Technology, Tourism, Craft and Design and food processing are the main industries in the county. 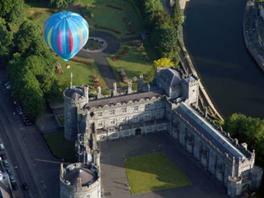 Each year Kilkenny hosts a number of international festivals and the city is a very popular tourist destination. This medieval city is characterised by many beautifully restored buildings and winding slipways - it is small and compact enough to explore on foot, yet full of fascinating historical buildings and contemporary shops, design galleries and restaurants. The ancient city of Kilkenny was named after a 6th century monk St Canice. His memory lives on in the beautifully restored St Canices Cathedral, built overlooking the city in the thirteenth century. Kilkenny Castle , one of the most magnificent castle's in Ireland was built by the Normans who arrived in the city during the 12th century. 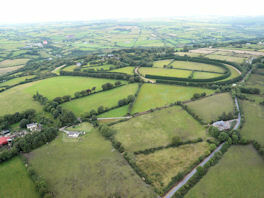 Set amid 170 acres of mature parkland and just 1.2 kilometres from the beautiful city of Kilkenny. Lyrath Hotel fuses stunning contemporary hotel design with the elegance of its original 17th century house, meeting and exceeding everything you would expect from a leading hotel. If you are not planning to stay at the hotel, may we recommend afternoon tea before your flight or, after a morning flight, treat yourself to their delicious award winning breakfast buffet. We meet our passengers at the CONVENTION CENTRE car park which is past the main hotel car park. Click here for Mapquest location map.